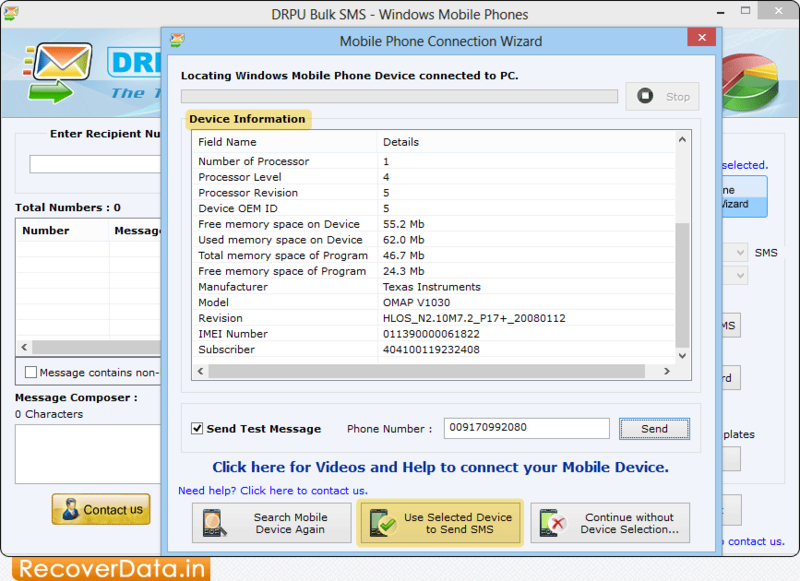 Here, Mobile Phone Connection Wizard shows connected device information. 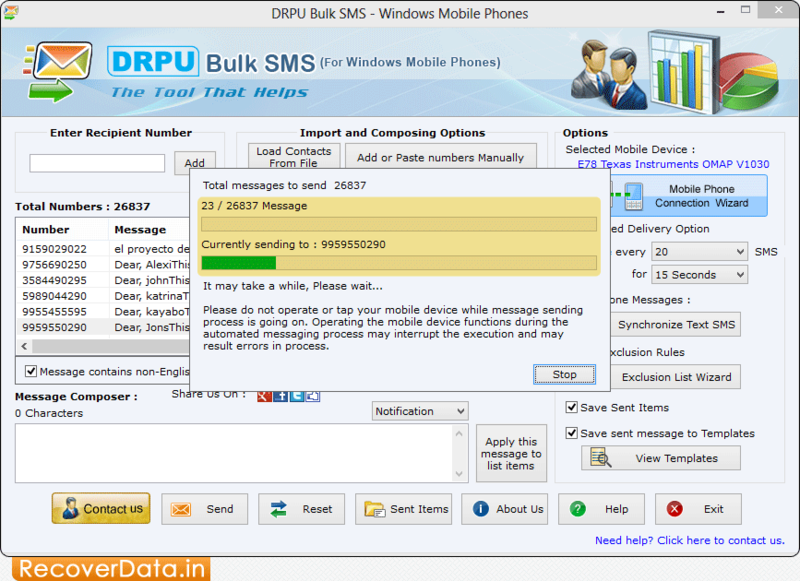 Click 'Use Selected Device to Send SMS'. 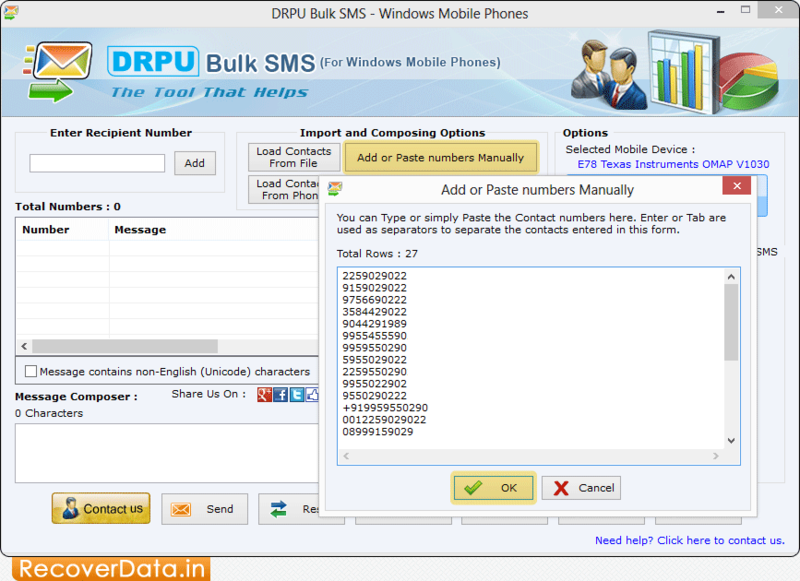 Select 'Add or Paste numbers Manually' option to type and paste multiple contacts. 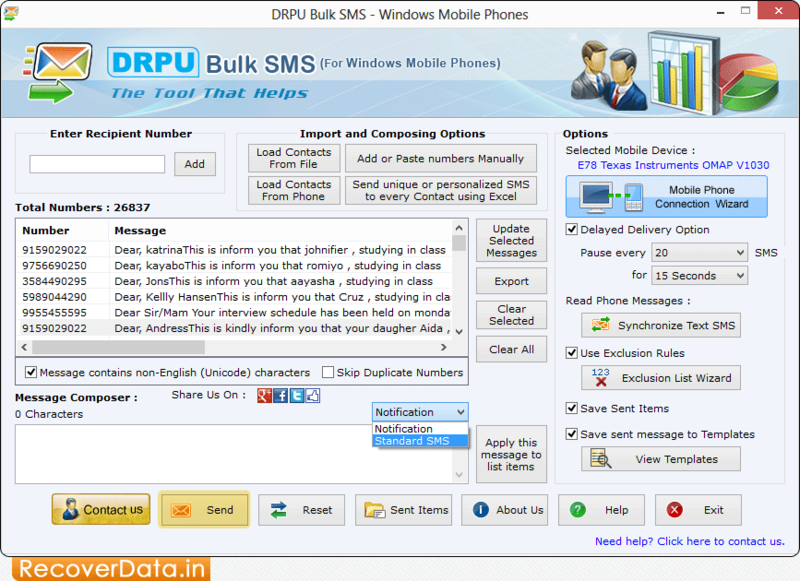 Click on 'Send' button to send messages. Progress bar to display current message sending status.